You are here: Home > New GUARANTEED WIN Pricebenders auctions! If you’ve never won a Pricebenders auction before (or have not won in the last year), we’ve got GREAT news for you! Beginning Wednesday, November 11th, we’ll be offering auctions for new CSAs in which you are guaranteed to win! Yes, even with as little as one bid (one TCredit), you’re guaranteed to win a CSA (Co-Sponsored Affiliate)! 1. When a Guaranteed Win (GW) auction starts, get to the auction and place at least one bid. 2. Once the auction ends, you’ll receive an email with directions for how to claim your CSA (note that it will require going through checkout at TripleClicks). The cost at checkout will be no more than $1.29–which can be paid by any form of payment including MRP or gift certificate. The price could be less, but we’re capping the price at $1.29. 3. To add some additional fun and interest, all GW auctions will also have a “Last Bidder’s Bonus.” In short, there will be a secondary prize of 35 CSAs awarded to the person who places the last bid. But it gets better; the bundle quantity will increase in proportion to the number of bids placed. So the more persons participating, the higher the bundle quantity can go (up to 200 total CSAs)! If you’re the final bidder, they’re yours…at no additional cost! Participation in Guaranteed Win auctions are limited to SFI affiliates who have never won a Pricebenders auction OR have not won in the last 365 days. A maximum of 200 bidders will be allowed per auction. If you arrive late and bids have been placed already by more than 200 different people, you’ll have to wait until the next GW auction. The Last Bidder’s Bonus bundle is capped at 200 CSAs. We plan to have GW auctions at these same three times each Wednesday, starting November 11th. WOW. Imagine dozens, hundreds, or even thousands of your affiliates trying out a GW auction…and why wouldn’t they? All they need is just one TCredit to win a fresh CSA. Tip: You can transfer up to ten TCredits to your PSAs if not having a TCredit is stopping them from joining the fun. So what happens after they’ve jumped into a GW auction? Well, for starters, they’re going to learn exactly how Pricebenders works, by participating in an actual auction. 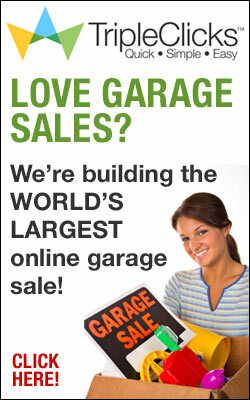 This is very valuable because it can eliminate the fear of auctions that many people have. More importantly, they will experience a Pricebenders WIN–which may very well embolden them to become a regular participant at Pricebenders. So, with large numbers of affiliates on your team active at Pricebenders (and with a fresh, new CSA, too), might that translate into all kinds of new activity–and higher commissions that come with it–for both them and you? Absolutely! And, of course, because of SFI’s powerful profit-sharing program (the TripleClicks Executive Pool), GW auctions have the potential to give a big boost to overall revenues and the share value of your Matching VPs–even if there’s not a lot of people in your own team that are eligible to participate. Yeah, GW auctions could be a very, very big deal indeed! So if you’re excited about this like we are, make sure all of your existing affiliates and those joining daily know about Guaranteed Win Wednesdays (starting November 11th). Note: We’ll be doing special promotions of all GW auctions (at least for a while), so you’ll definitely know about upcoming GW auctions so you can provide a heads-up for your team.